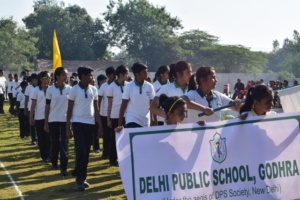 As one of the more recent additions to the DPS family, we come endowed with dynamic experience, gleaned over fifty years. This is largely the outcome of continuous process of innovation, both, in teaching methods as well as learning systems. The institution is to provide the ultimate quintessence under which our children will receive the cool and conclusive environment for the growth of their body, mind and spirit. The aim of our school is to help children acquire the values and skills essential for their growth into complete human beings. The school seeks to ensure that the children are able to develop their fullest potentials according to their unique natural ability. 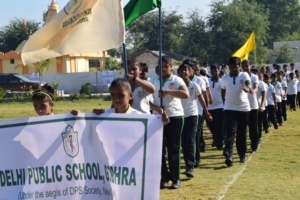 DPS Godhra encompasses in itself the entire gamut of skills & knowledge required in formulating the guiding principles which helps the students to grow into such individuals who are not only capable of competing with the best but also embodying the values which draw on our best cultural heritage.